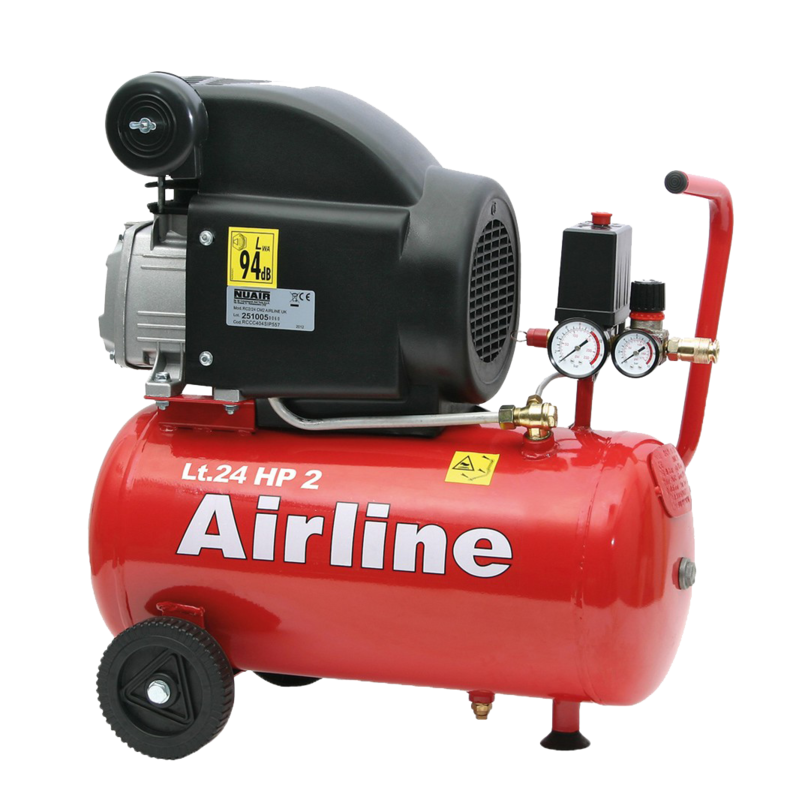 You should base your choice of air compressor around the air tools that you wish to use. Different tools will require different air pressures and volumes of air to run efficiently. Pressure is measured in bar or P.S.I (pounds per square inch) and volume usually measured in C.F.M (cubic feet per minute). 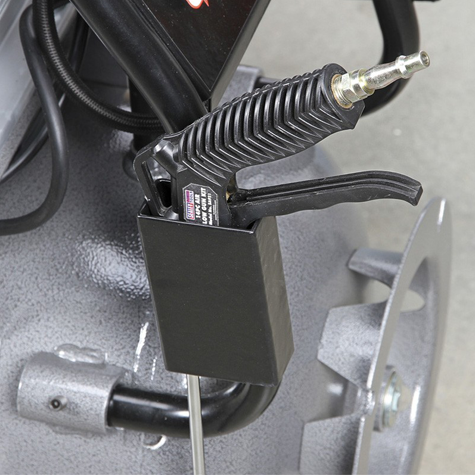 If you already have your air tools, you need to check what pressure they run at and how much air they require so you can buy an air compressor to suit. If you are planning to buy the compressor and then the tools, check the tools you intend to use before you buying the compressor. 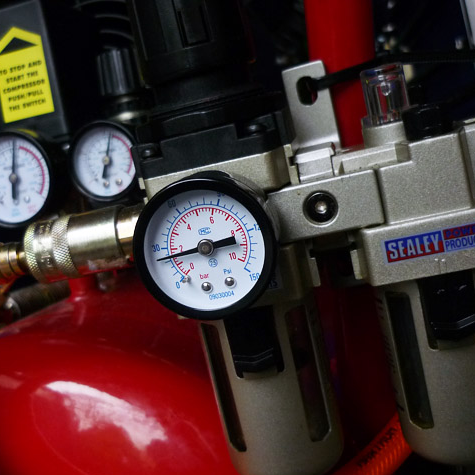 For example, the Sealey SA31 air riveter uses 4.2 cfm of air and operates at 90 psi, so you will need to buy a compressor which meets this requirement, it is always advisable to try and have around 30% more cfm than you need, so that the tool runs efficiently at all times and the compressor is not being over worked. Take into account which tools you may look to use in the future, even if not at the current time. 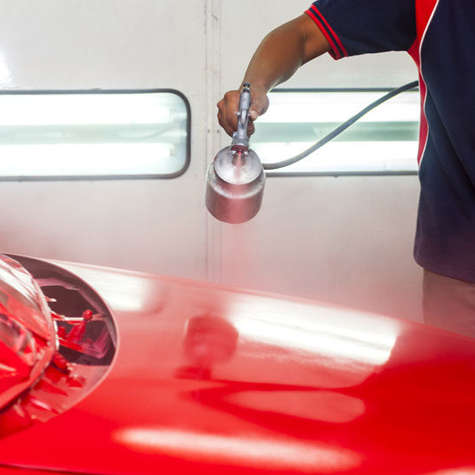 If you think you may be doing paint spraying for example, you may find it a better investment to go for something bigger than what you currently need, so check out the tools you think you’ll need long term before buying If you do plan to spray vehicles, we recommend at least a 50 litre 3.0hp compressor, for short stints (panel at a time) and considerably larger for more prolonged regular use, spraying uses a lot of air and requires a smooth flow if you are to get a good finish. Air tools tend to be far lighter in weight and smaller in size compared to battery or mains powered tools because they don’t need to be fitted with a battery or heavy motor. A huge variety of tools and accessories are available for all manner of jobs and applications. Electric powered tools can’t be used in certain areas because of the risk of electrical fires or the possibility of operator electrocution. Air tools are safer, simply because they contain no electrical components meaning there is nothing that can go wrong electrically and potential harm the operator. If you work in a damp area, or if there’s combustible gases around where you are working you can use air tools and a compressor to keep working conditions safe. Almost all air tools are cheaper than electric or hydraulic tools, meaning you can build up a collection of quality tools without breaking the bank. In commercial settings you’ll find that air systems are easier and less costly to install than hydraulic systems or upgrading your electric supply. 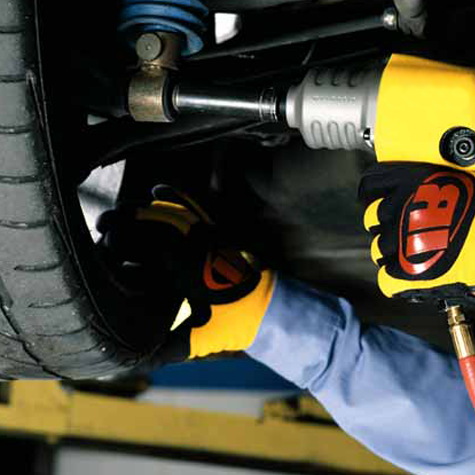 Air tools themselves have considerably lower maintenance requirements, meaning less downtime to get repaired / replaced. Find the required air flow (CFM) of your air tool. This information can normally be found on the suppliers / manufacturers website. To find the minimum required CFM of the compressor you need to purchase multiply your tool’s required CFM by 1.2. Example - If you want to run a tool which is 5.5CFM you would times that by 1.2. (5.5 x 1.2 = 6.6CFM). 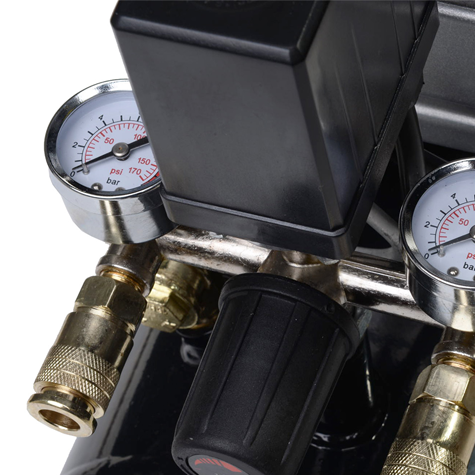 The pressure generated inside the tank of an air compressor is measured in bar and pounds per square inch (PSI). Most compressors on average will have a working pressure of 8 bar / 115 PSI which is ideal for DIY air tools which is normally around 90 PSI. 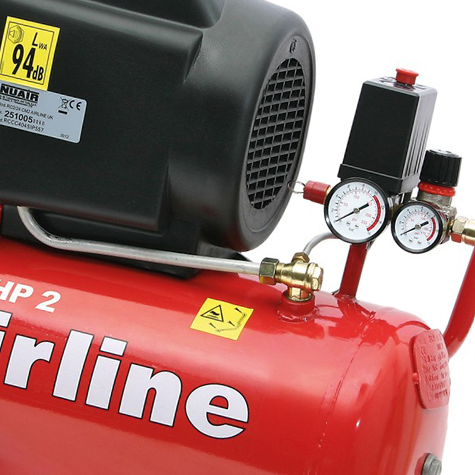 More powerful air compressors in our range have higher working pressures normally around 145 PSI+. 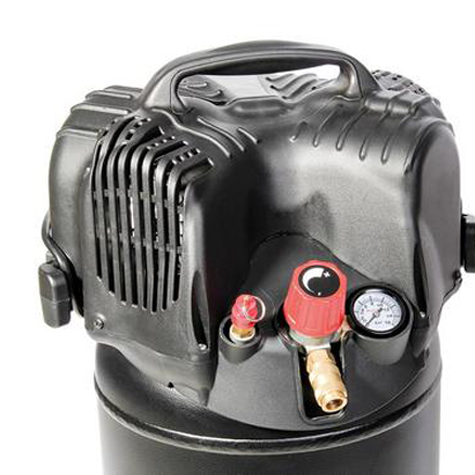 Generally as a rule, the larger the air tank the better and longer your compressor will run. A larger air tank will deplete less often than a smaller tank so it’s worth investing in a large enough tank to complete the job. So for example, a spray gun will work with a small 6 litre compressor but it will only work in very short bursts. 6 litres would be plenty for spraying a small body panel on a car, however if you wanted to paint the whole car, you would probably need at least a 100 litre air compressor. Petrol / Diesel Or Electric? 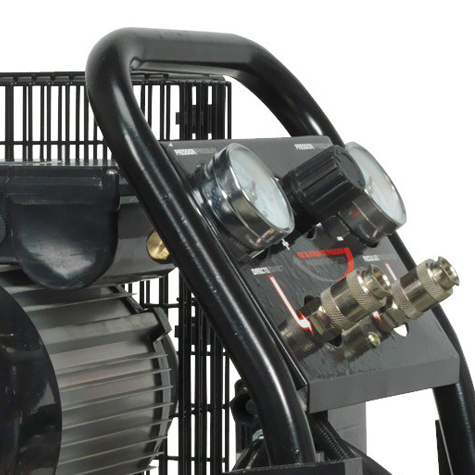 Generally electric air compressor are used in commercial factories and workshops where they tend to stay in one place. Petrol / diesel versions are more suited to trades like mobile mechanics where maneuverability is essential and can be used in any areas as a power source is not required. 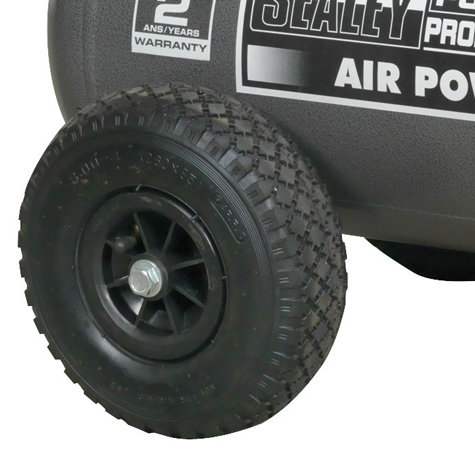 Tank size: The bigger the tank the more air you can store and the less your motor and pump will have to work. Make sure whatever you buy will fit in the place you want to keep it. Motor Power: The bigger the motor, the quicker your compressor can build up air and the higher the level that air flow can be kept constant at. 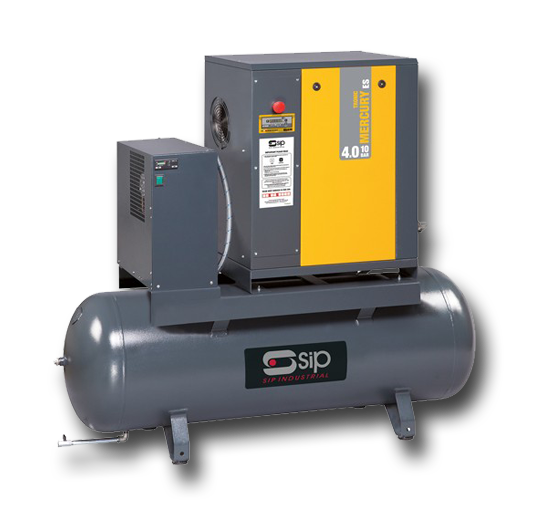 Voltage & Ampage: Make sure if you are buying a large Industrial Air Compressor that you buy the correct voltage, 400V is a three phase, electricity supply, so make sure you have this installed or are prepared to get it installed before buying. Some 230V compressors will run from a higher ampage (e.g. 16A, 18A or 32A) due to their motor size, this is not a big job to install, but will require an electrician if you do not already have it. 230V 13A can use a standard household 3 pin plug. Piston Displacement & Free Air Delivery (F.A.D): These are both measured in cfm, but piston displacement is the volume of air produced at the pump and the free air is the actual volume of air that the compressor will produce (F.A.D is usually around 25-30% lower than the piston displacement). 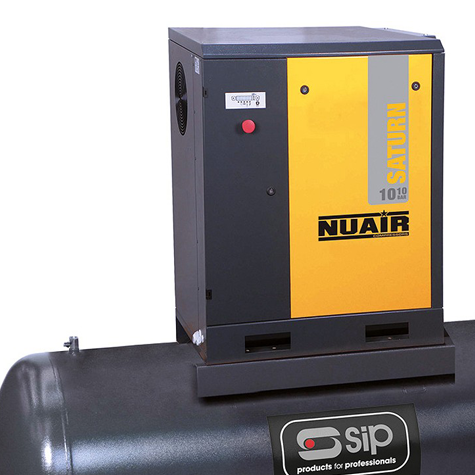 Please feel free to contact us to discuss your requirements or if you have any questions regarding our air compressor range.